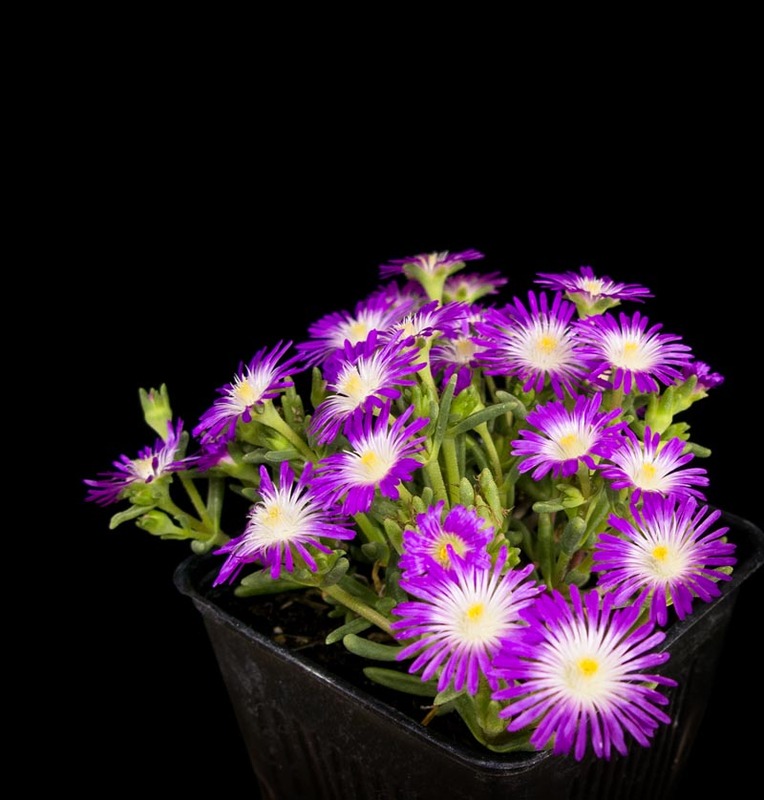 Trailing iceplant. 2″ violet flowers with white centers. Under 4″ tall.